West Hollywood College Preparatory School lies tucked away inside a drab, two-story peach colored building on the corner of Crescent Heights and Fountain. 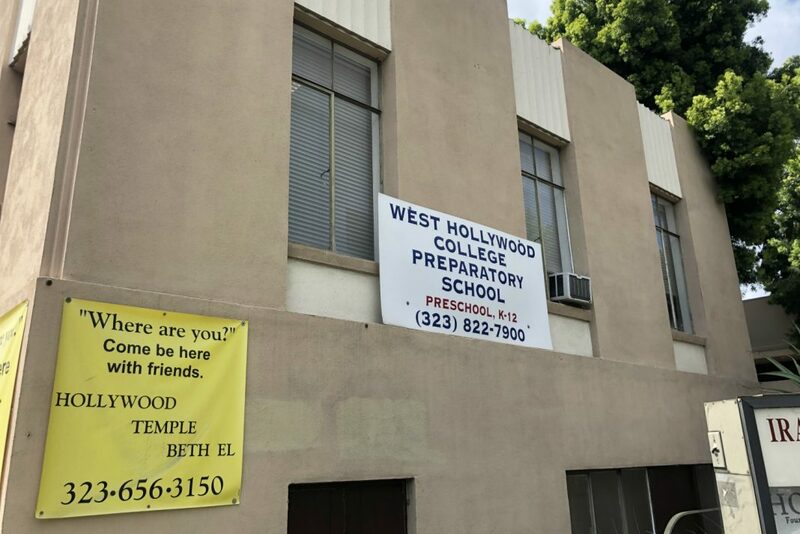 It’s a far cry from the sprawling, lavish campuses of private schools like Crossroads and Harvard Westlake, but the director of this little school most of L.A. has never heard of is alleged to have played a notable role in the explosive college admissions scandal that we can’t stop reading about. Among the 50 people indicted on March 12 was Igor Dvorskiy, who serves as director of West Hollywood Prep. The Department of Justice has accused Dvorskiy of helping wealthy parents cheat on college admissions tests. The testing scam was just one piece of the admissions scandal, which was allegedly orchestrated by William Singer and his company, Edge College & Career Network. Singer would instruct parents to claim their children had some sort of learning disability, so that they’d be allowed extra time to take the SAT or ACT entrance exams. These students were then allowed to take the tests alone, with a proctor chosen by Singer and at a location of his choosing. Singer had two preferred testing locations: one in Houston, Texas, and the other inside West Hollywood Prep. According to the affidavit, it was Dvorskiy who facilitated the SAT test for Felicity Huffman’s daughter at West Hollywood Prep. She received a score of 1420, “an improvement of approximately 400 points over her PSAT,” which she’d taken a year earlier. West Hollywood College Preparatory School was founded in 2000 by Dvorskiy’s mother, Elina, a longtime educator from the Ukraine (it was named Dvorsky College Preparatory School until 2010). The school offers classes from preschool all the way to the 12th grade, as well as day care. According to a 2010 article from the Beverly Press, it enrolled about 100 kids, with no more than 10 students per class. “The kids get the maximum from the teachers, and we try to find an individual way for the students to learn in each class,” Dvorsky told the Beverly Press at the time. “All of the classes are in one location. It’s more of the European style of educating.” He added that it was one of the few schools in the L.A. area to offer Russian language classes. "West Hollywood College Preparatory School " Элла Дворская ! Аня занималась здесь ! / "West Hollywood College Preparatory School" Ella Dvorsky! Anja studied here! Though small and unassuming, the school is not without its famous alumni parents. The Russian singer Dima Bilan, winner of Eurovision 2008, sent his daughter Anja there, judging from a 2015 Instagram post. There is currently no evidence to suggest a connection between the private school itself and with Dvorskiy’s alleged role as an on-the-take testing administrator.